We specialize in opening long-term offshore IT offices in Ukraine. Temerix can help your business in any stage of the process, help you assemble the right team and use the right tools in order to turn your vision into reality in the best possible way. Our expert team of developers use cutting edge technology & best practices to create Enterprise Solutions for business. We create a mobile app experience that taps into your audience and grows your business online. Consider building a new app with our team. Computer Vision capabilities include sensing video and pictures and high-level analysis to further processing and using. To develop a world-class product, you need right team of experts. Our entire team consists of experienced engineers, designers and analyst. We provide our clients with a range of services including extended software development teams, outsourcing software development, Quality Assurance, Technical Support, R&D and Big Data. We believe that the success of each company depends not only on the innovative ideas it brings but on the implementation and response to the challenges on the way, our service support companies in achieving high-quality results in a budget that keeps you attractive. At Temerix, we offer start-ups and high-tech organizations that need to move fast a complete, high-quality, dedicated workforce. We know how to package our services in flexible models that are needed to meet market challenges, so it is easy and fast for you to move forward. Often startups face financial limitations during their initial years, they need to find out alternatives to wisely use their limited monetary resource. Our unique onshore helps save your money on the resources, office space, set up & other employee liabilities. Also, help you get right talent with global mindset at a single place, round the clock service, results into increase in productivity and ultimately save time & money. Building a software product requires people from various disciplines. 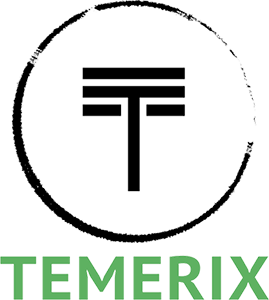 When you choose Temerix for your product, you get a complete team outsourcing for startups. You get a UX designer, an architect, experienced programmers, QAs & other experts. Also a product Manager to ensure comunication. Throughout the life cycle of the product, we ensure it gets right attention from right people required at each stage. Supernova provides dynamic distribution for hotels to increase RevPAR and occupancy rates. The fast, intuitive and unified SaaS platform serves users up-to- date insights and actions at the right time. Playphone operates mobile social game stores worldwide, with the vision of becoming the #1 game store for emerging markets. For game developers, Playphone offers a single integration SDK to launch and monetize games in the world’s fastest growing gaming markets and across the globe. ERM provides automatization of all CC business process, easy manage and control operators and managers. Provides adaptive notification system for critical states of process. ERM was successfully implemented in company. TEMERIX creates an environment where openness to learning gives our employees the opportunity to become outstanding. We provide all employees with the opportunity to develop, to flourish and to realize their potential on both the personal and professional level. We do our best for outstanding employees, encouraging them to achieve and to grow through team-building workshops for effective communication, executive coaching and leadership development for team managers, as well as professional training for managers.